Jass Singh wants his clothing line to make a difference. If you are looking for a handmade dress with bright embroidered patterns weaved into the softest of silk, Gandhi Indian Designer Clothing should be on the top of your shopping list. From heavy wedding lehengas (a long skirt worn by women in South Asia) to trendy daily wear, Gandhi provides its customers with the most authentic Indian clothes straight from New Delhi, the very heart of the country’s clothing market. Owner Jass Singh is a recent graduate from Dalhousie University. And Gandhi is not the only business he owns. Three years ago, Singh landed in Halifax in a cold winter night from India. Stuck in the snowstorm at the airport, he had no one to turn to. One year later—knowing first-hand the hardship to start a life in a foreign country—started a non-for-profit organization designated to help international students to find accommodations prior to their arrival. Now, Univfax has helped over a thousand students settle down in Halifax. After graduating from Dalhousie University in 2016 with a master’s degree in engineering, Singh got a job as a quality analyst in central Halifax. His dad told him that now that he had a job, it was time to settle down. “What do you want?” his father asked. “I want to see Indian clothing stores take off in downtown Toronto in five years,” he replied. With that ambition in mind, Singh started Gandhi Indian Designer Clothing, an online Indian clothing store selling clothing not only to Indian people but to people from all over the world. The clothes are made by workers from different parts of India and shipped straight from the capital, New Delhi. But Singh didn’t start the store just for the money. He chose to start a clothing store hoping that it could help shatter the stereotype of race and clothing. 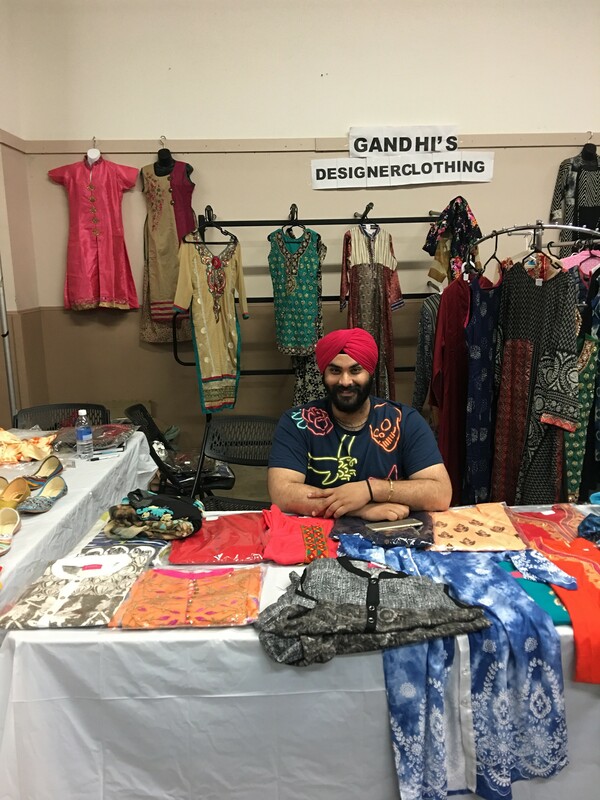 Gandhi Indian Designer Clothing has appeared in several recent festivals in Halifax. Find the online store here. Halifax isn't so bad, once you get to know it. Get on the highway out of your comfort zone with these tips for newcomers looking to make friends and socialize without culture shock.